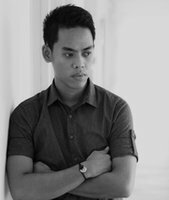 Hersley-Ven D. Casero is a visual artist–photographer and manager of the Creative Department at Foundation University, Dumaguete City, Philippines. He received his BSC in Marketing and an Artist of the Year Award from Foundation University. As a natural artist, he fell in love and immediately got hooked on photography. Being born and raised in Dumaguete, the city has shaped Hersley’s perspective as a visual artist and is the stage for many of his photographs. His works have been recognized and published in local, national and international publications. His works reflect on human beings, being human, and the interactions that unfold before him.